Risk for developing active tuberculosis has not been previously assessed in patients undergoing hematopoietic cell transplantation. 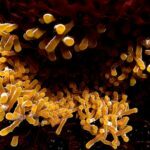 The risk of latent tuberculosis infection (LTBI) reactivation following hematopoietic cell transplantation (HCT) may be lower than previously thought, according to an article published in Clinical Infectious Diseases. Previous research has shown that patients with hematologic malignancies are at an increased risk for developing active tuberculosis. However, this risk has not been assessed in patients receiving HCT, who undergo immunosuppression both before and after transplant and therefore may be unable to receive preventive LBTI therapy because of the possibility of hepatotoxicity. In this retrospective cohort study, researchers assessed 2531 patients who had undergone autologous or allogeneic HCT between 2010 and 2015. All patients had been evaluated for LTBI prior to HCT, and patients who tested positive for LTBI were independently assessed to determine the need for post-HCT LTBI treatment with isoniazid. In total, 91 patients tested positive for LTBI, 63 of whom were identified for preventive treatment post-HCT. Of these patients, 30 initiated treatment with 3 months of transplant, 4 initiated treatment later than 3 months after transplant, and 29 did not receive treatment. The median duration of treatment was 197 days. Neither patients with positive LTBI screening tests nor patients in the rest of the cohort exhibited active tuberculosis during the course of the study, yielding an incidence of 0% across both groups. The researchers cautioned that their results could not be generalized to populations with high tuberculosis endemicity. In low endemic settings, however they concluded that LTBI therapy could be delayed immediately following HCT until patients had a lower risk of hepatotoxicity. Further research is warranted to identify the optimal timing and duration of treatment for this population. Disclosure: One of the study authors declares an affiliation with the pharmaceutical industry. Please refer to the original study for a full list of disclosures.